Having completed our fellowship hall, we are now working to raise funds for a permanent church building. February 22, 2012 We broke ground for the foundation two weeks ago, and then rains brought work to a halt. If the clear weather holds, we'll have a foundation by the middle of next week. March 15, 2011 Last night, the City of Denton's Historical Landmarks Commission approved our request for a Certificate of Appropriateness to build a hall addition onto our existing building. This clears the way for us to obtain building permits and then to begin building. We still need about $10,000 to fund the $60,000 project fully. Our design has been updated as of Fall 2016. We hope to post new drawings soon. 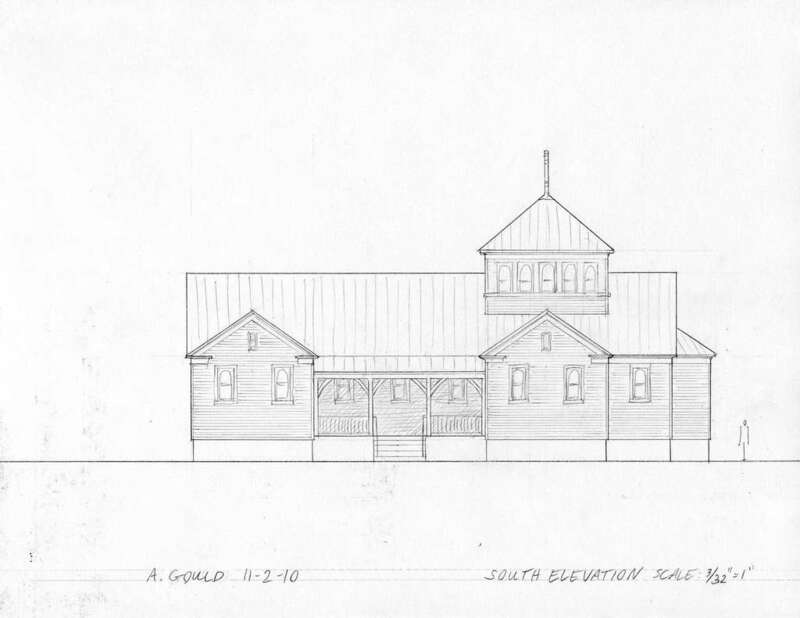 Here is the temple that St. Maximus Orthodox Church desires to build with God's help, a temple traditionally designed to serve as a house of prayer, a place set apart for the worship of the living God. To our knowledge, this will be the first temple built in honor of St. Maximus anywhere in the Americas. O Lord Jesus Christ our God, Cornerstone of Thy holy Church, Giver of every good gift, the One who first loved us, look down upon us Thy people who desire to build a temple unto Thy glory in memory of Thy saint Maximus and grant us the wisdom, strength, and resources to accomplish this task in accordance with Thy will. Remember the friends and benefactors of this parish who support the construction of this holy temple and bless them with Thy good things. And as Thou didst proclaim that even if Thy disciples were silent, the very stones would cry out, so also grant that this holy temple may proclaim Thee and draw all who dwell in this city and county to worship Thee in spirit and in truth. Inflame our hearts with love for Thee that we may offer to Thee ourselves and all Thou hast given us to the glory of Thy holy Name. For Thou art the true Philanthropist—the Lover of Mankind—and to Thee we send up glory, together with Thine eternal Father, and Thy most holy, good, and life-creating Spirit, always, now and ever, and unto ages of ages. Amen. Moving very slowly, but the heating and air-conditioning rough-in is done, electrical rough-in beginning. The repair and painting of the outside of our existing building is nearly finished. Most of the framing of the new hall is completed. Foundation work begins but is slowed due to rain. Driveway is widened, wheelchair ramp is added. 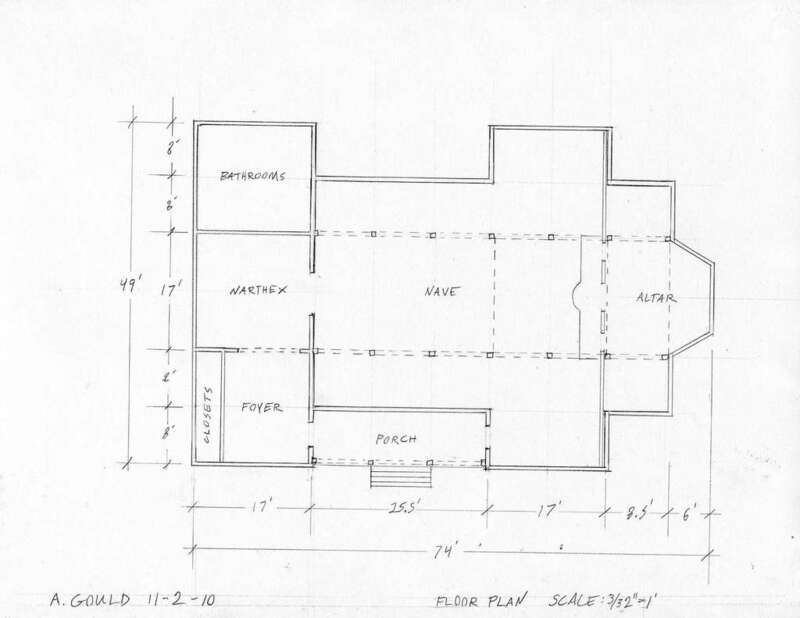 The Historical Landmarks Committee approved our plans for a 1000 square-foot addition to the west end of our building to give us hall space so we don't have to use the church for eating, etc., and to give us adequate non-church space to grow in until we fill our present sanctuary and can support building a new temple. We await approval of construction permits and full funding so we can proceed with construction. At the annual meeting, the parish decided to build a more modest church behind our existing building. We are now working on a design. Also we are developing plans for an addition to our existing building. A new building and strategic planning committee has its first meeting to begin moving our project forward. Our new permanent altar table to be consecrated with the new church, is used for the first time after being delivered earlier in the week. It was crafted by Fr. Michael Storozuk of St. Paul's Orthodox Church in Denison, TX. Update: The parish council determines that we need 1. to clarify with the city what we can do on our present property, 2. find out who purchased the property down the street and whether he would consider sellling to us now or in the future, and 3. look for other property in Denton. We should prefer to stay in our present neighborhood, God willing. Update: Following our annual meeting October 5, we are looking for other sites where we may build. Internal matters slowing things down are resolved. May God guide us to the right place and provide for its acquisition! Update: Our neighborhood becoming a historical district may keep us from building on our current property. We have not succeeded in acquiring a larger lot down the street. A few other internal matters are slowing this project for the moment. God will direct us in how to move forward in His will as we wait on Him. Until we know where we will build, we cannot complete the construction drawings. Pray that God will guide us to the proper location at the proper time. First stage plans and watercolors completed. New drawings received from Andrew Gould. New drawings received from Andrew detail the interior. After a phone conference with the architect, we decided to keep developing the preliminary concept with a few modifications. 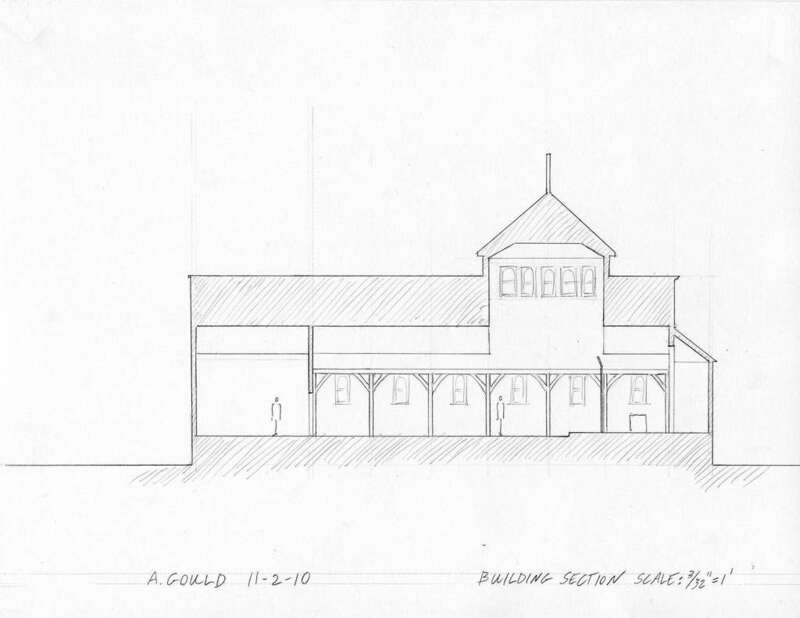 Preliminary drawings of the proposed church arrive and are available for viewing and comment. We formed a design committee, began drawing concepts, and had a couple of professional people do a few drawings for us. After his pastoral visit, His Eminence Archbishop Dmitri wrote us a letter urging us to begin working seriously towards construction of a proper church.